After a long ago, ill-publicized first visit to Corvallis, we were eager to come back and try again. This time it blew our socks clean off. (Or at least off.) The instant we walked in the Troubadour, we asked our gracious host Kent if he had ever been to the Folk Music Center in Claremont where we have played and sadly weren’t able to do this time. He replied that he’d learned the luthier trade and gotten his start there. Magic! He is of a great lineage of darn good people and treated us like royalty. 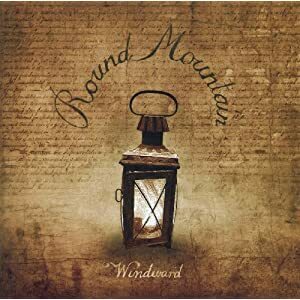 There was this article in the paper that was so big, it looked like the the headline “Round Mountain” was the name of the newspaper. Most of the people who came saw that article. It was a nice full house, super receptive, really sweet to play for. We got to go catch up with Leigh Ann, Steve, and their sweet little girl Lola. They also made us feel like the kind of wanderers you’re happy to see, and we were happy to be.